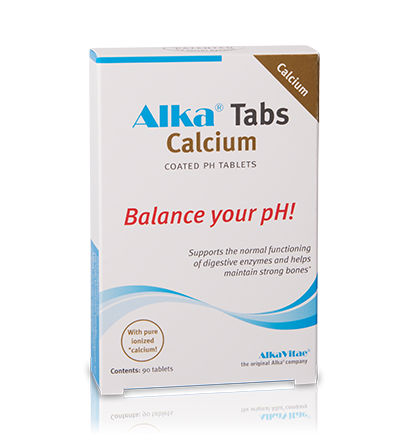 Alka® Tabs Calcium tablets help you to alkalize your body and give it extra calcium at the same time. 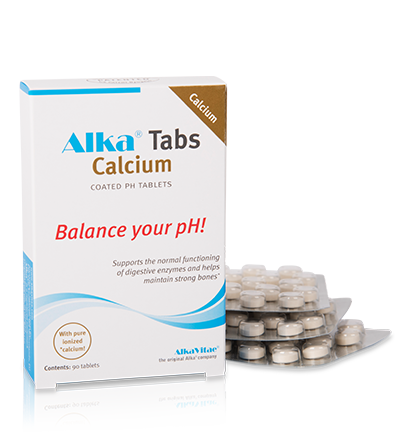 Alka® Tabs Calcium tablets help you to alkalize your body and give it extra calcium at the same time. Ideal for people who need to counteract acidity in the body and also need to take extra calcium. Alka® Tabs Calcium are made of calcium carbonate with a special gastro-resistant coating. This coating prevents the active ingredients from being neutralized by the gastric acid. Its pure ionized calcium strengthens your bones at the same time! The original, patented e-Cal formula! Ideal for brittle bones and calcium deficiency! 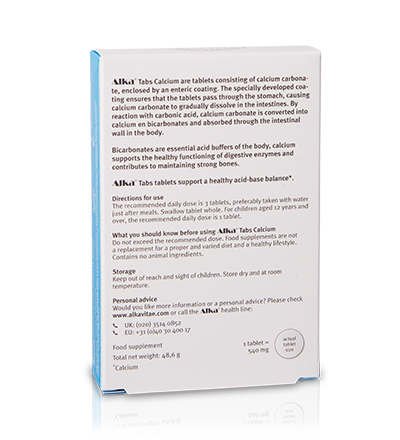 Get started straight away and discover the unique alkalizing effects of Alka® Tabs Calcium. Acidification causes the body to leach some of the calcium in bones to help bind the acids together. This steadily reduces bone density. Alka® Tabs Calcium counteracts acidity in the body every day, and its pure ionized calcium gives you extra calcium at the same time. The calcium carbonate in the tablet is gradually absorbed through the intestinal walls and reacts with carbon dioxide in the blood, which causes calcium to be absorbed and also creates bicarbonate. This bicarbonate dissolves and neutralizes build-ups of acid. Alka® Tabs Calcium comes in a convenient blister pack, so you can take it with you anywhere. Alka® Tabs Calcium has been successfully sold worldwide for more than 12 years. Alka® Tabs Calcium is the original e-Cal formula, protected by US patent no. 5914130.